We first read up on ROKC on Harlem Bespoke and one day, when we were looking for something to eat on our way back from Jersey, we decided to give it a try. At the time, they were just a month in after their soft-opening and there was no raw bar nor cocktails yet (pending liquor license). Now that they are fully opened, they got a nice raw bar going with east coast oysters and top neck clams, and serve killer cocktails which I had the pleasure of sipping. I tried their ‘Coconuts’ cocktail which is made with dry gin, orange blossoms, coconuts and lime. Their ‘Flower’ cocktail includes ingredients I have never seen elsewhere like Japanese Barley vodka and elderflower! 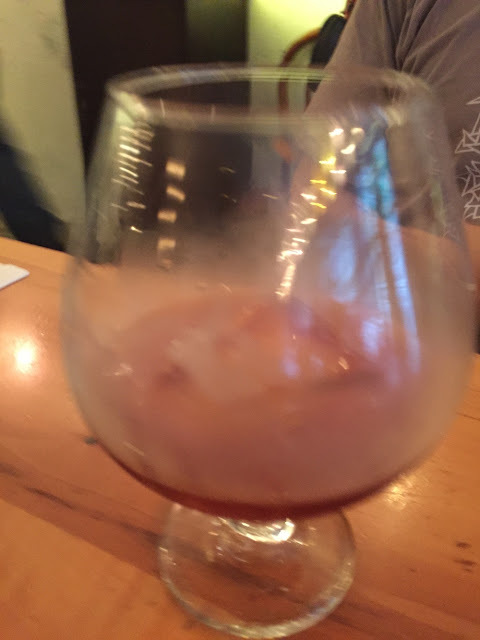 If you want Bourbon with a twist, their bourbon ‘Smoke’ cocktail literally comes with smoke. All cocktails are prepared with creative embellishments. So fun and unexpected and makes me want to try every single one of their cocktails just to see what they come up with! Pictures below are a cumulation from all my visits there. This is one of the earlier rendition of the Kyoto spicy ramen. It's now just Kyoto and you can ask for chili sauce on the side. Raw bar happy hour. $1.50 each with a few exceptions. Happy hours are Mon-Fri from 4 to 6 pm and Sat-Sun 2-6 pm. Grapefruit cocktail (Mezcal, grapefruit juice, lime, smoked palosanto wood), $12. Kyoto ramen (soy sauce flavored chicken and fish based broth topped with pork belly, garlic oil, soft boiled seasoned egg, bamboo shoot, scallion), $13. The Pistachio cocktail (Dry gin, house pistachio cream, campari, clementine), $12. Another day. Another raw bar happy hour. Here's the Lychee cocktail (Lychee, ginger vodka, house lychee juice and lime), $12. The Smoke bourbou cocktail..with smoke! People come to Harlem for church, soul food and the general funky atmosphere. Now, they can come up for a taste of Japan. Oh, if you’re unsure which of the three kinds of ramen to try. 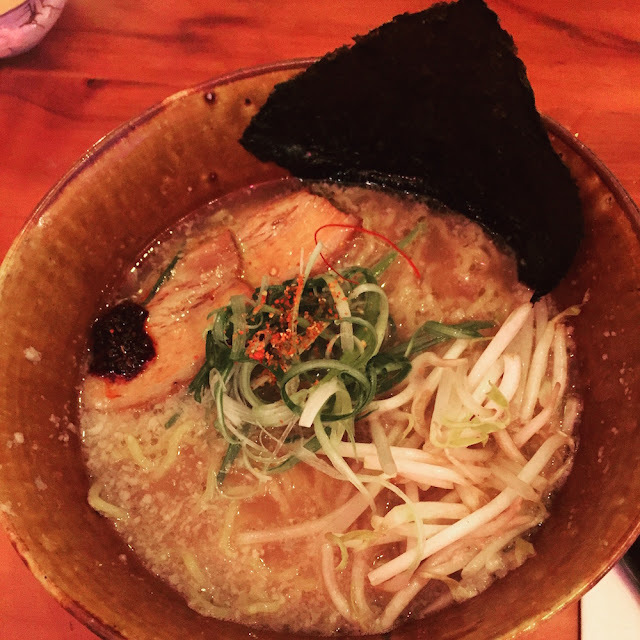 I would suggest the Kyoto, which contains both the chicken and fish based broth, and makes the tastiest ramen ever. And if you top it with some of their homemade chili sauce (ask for it! ), then I personally think it’s even better. Update: I was just told they added a yuzu salt ramen to the menu! Now I must go try it!